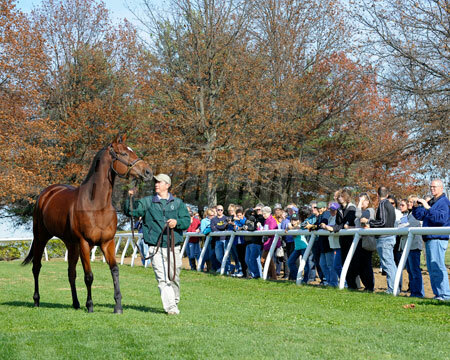 Owner Rick Porter offered fans a special opportunity to visit with his filly Havre de Grace at Vinery near Lexington, Ky., on Saturday, Nov. 12, 2011. Vinery opened up their farm to fans for two hours on a beautiful, breezy afternoon in Central Kentucky. 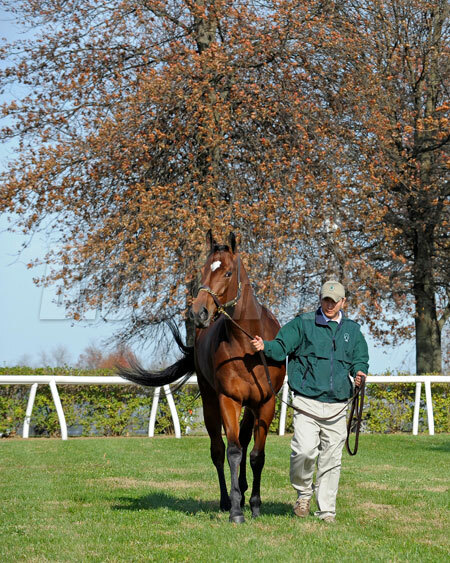 A Vinery spokesperson said the 4-year-old Saint Liam filly stopped over in Lexington for the fan visit at Mr. Porter’s request. 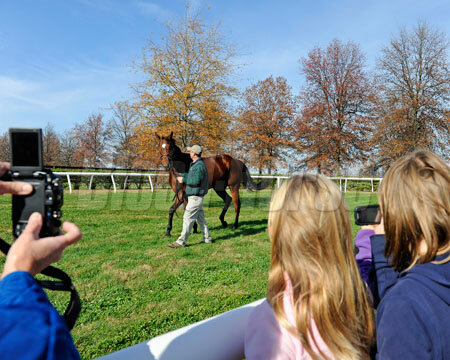 Among those who came out for the filly viewing were local fans and media, some visitors in town for the Keeneland November sales and others from out of town, including a couple who drove in from New Jersey just to see the filly. Havre de Grace will travel on to Vinery Florida soon where she will have a break before resuming training with Larry Jones in the new year. While in her stall at Vinery fans took photos and petted the racing star. 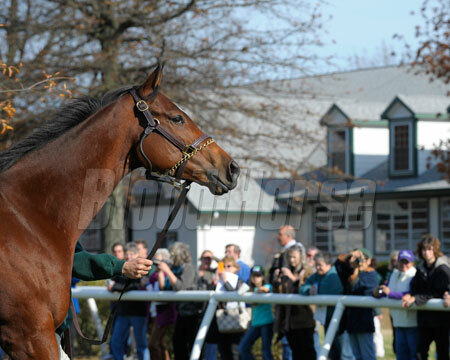 Havre de Grace then was paraded outside in front of fans, and stopped to graze every so often. Fans received Havre de Grace souvenirs and refreshments complimentary of Porter and Vinery.